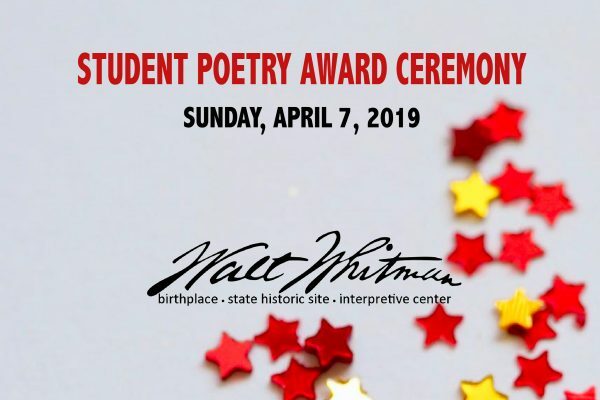 The 33rd Annual Student Poetry Contest Award Ceremony honors the winners of the “To Realize the Future“-themed contest (grades 3-12) during the Walt Whitman Birthday Celebration. WWBA Poet-in-Residence Jane Hirshfield will officiate the ceremony. Free & open to the public–suggested donation $5 per family.